Which of the following statement(s) is/are true about Tawarikh? 1. These are the histories written in Persian language. 2. The authors of Tawarikh were learned men who were secretaries, administrators, poets and courtiers. 3. These authors advised rulers on the need to preserve an “ideal” social order based on birth right and gender distinctions. The authors of Tawarikhs were usually learned men: secretaries, administrators, poets and courtiers, who both recounted events and advised rulers on governance, emphasising the importance of just rule. The authors of tawarikh lived in cities (mainly Delhi) and hardly ever in villages. They often wrote their histories for Sultans in the hope of rich rewards. These authors advised rulers on the need to preserve an “ideal” social order based on birthright and gender distinctions. Their ideas were not shared by everybody. 1.Bhimbetka, Kurnool are the famous sites of Old Stone Age in India. Koldihwa in Uttar Pradesh is well known Neolithic age site. Use of bows and arrows began in Mesolithic age. Consider the following statements about the Harappan civilization. Most Harappan sites are located in semi-arid lands. There is evidence of use of water storage structures. While the prevalence of agriculture is indicated by finds of grain, it is more difficult to reconstruct actual agricultural practices. Most Harappan sites are located in semi-arid lands, where irrigation was probably required for agriculture. Traces of canals have been found at the Harappan site of Shortughai in Afghanistan, but not in Punjab or Sind. It is also likely that water drawn from wells was used for irrigation. Besides, water reservoirs found in Dholavira (Gujarat) may have been used to store water for agriculture. Which one of the following Upanishad talks about the childhood of lord Krishna for the first time? Chandogya Upanishad talks about the childhood of lord Krishna for the first time. Sabha and Samiti were legislative assemblies at tribal or territorial level. The king was autocratic with main responsibility of being protector of the tribe and the cattle wealth. Samiti was not open for women in early Vedic period. The Aryans travelled from Afghanistan to India through Khyber and Bolan passes. The king was also not autocratic. He had to abide by the decision of assemblies called sabha, samiti. Sabha and samiti were legislative assemblies at tribal and territorial level. The samiti was a general assembly which was open for all including women. The Rashtrakuta Empire was divided into several provinces called rashtras under the control of rashtrapatis. They were further divided into vishayas or districts governed by vishayapatis. The next subdivision was bhukti consisting of 50 to 70 villages under the control of bhogapatis. Who was the first Sanskrit scholar in Buddhism? Ashvaghosha was a Buddhist philosopher, dramatist, poet and orator from India. First Sanskrit scholar in Buddhism was Ashvaghosha. He wrote Buddha Charita, it is the first kavya in Sanskrit literature. 1. Muqaddams referred to village headmen in Medieval India. Buddhism didn’t recognize soul and god. Jainism propagated strict austerity and penance. 1.Buddha delivered his first Sermon at Sarnath. 2.Buddha passed away at a place called Kusinagar. Buddha attained Nirvana at the age of 35. The earliest Tamil compositions are known as ‘Sangam’. Why these texts are called ‘Sangam’? (a)	These texts were the meeting of the best of the ancient wisdom and contemporary values. (b)	The poets composing the texts named it so. 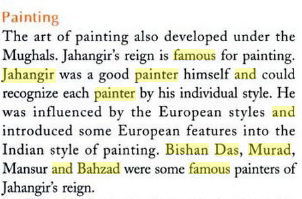 (c)	They were composed in the city of Sangam. (d)	They were composed and compiled in assemblies of poets which were known as Sangams. The terms ‘Jataka stories’ and ‘Avadanas’ are associated with which of the following religion? The Jātaka tales are a voluminous body of literature native to India concerning the previous births of Gautama Buddha in both human and animal form. The future Buddha may appear as a king, an outcast, a god, an elephant—but, in whatever form, he exhibits some virtue that the tale thereby inculcates. 2.With 506 monuments under its belt, Karnataka continues to top the list ofmonuments of national importance. sculpture, inscription, etc., which is in existence for not less than 100 years as ancient. With 506 monuments under its belt, Karnataka continues to top the list in South India, followed by Tamil Nadu (413). 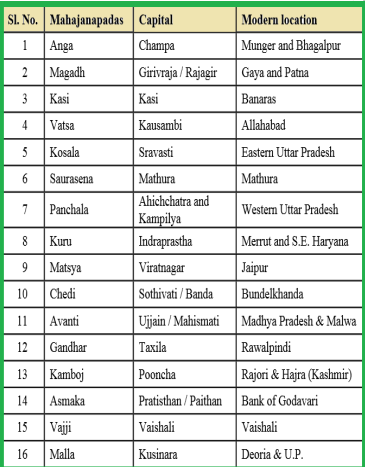 At national level Karnataka is in the second place after Uttar Pradesh, which has 745 such monuments. 1. Chajja Dance is performed on the occasion of Lohri festival in Madhya Pradesh and Chattisgarh. 2.Italy counts 54 UNESCO World Heritage Sites within its borders, the most of any country on the World Heritage List. Chajja Dance is performed on the occasion of Lohri festival in J&K, Punjab and Himachal Pradesh. 1.The term ‘Fugitive Economic Offender’ is defined in Fugitive Economic Offenders Act, which lays down measures to deter economic offenders from evading the process of Indian law by remaining outside the jurisdiction of Indian courts. 2.A fugitive economic offender is an individual who has committed some specified offence(s) involving an amount of five hundred crores or more and has absconded from India or refused to come back to India to avoid or face criminal prosecution in India. 3.So far, more than 10 persons have been declared a fugitive offender under the Fugitive Economic Offenders Act. So far, one or two persons have been declared a fugitive offender under the Fugitive Economic Offenders Act. The states which require the Inner Line Permit are Arunachal Pradesh, Mizoram and Nagaland. (a) Enhance the private sector participation in defence manufacturing. (c) Boost Intellectual Property Right (IPR) culture in indigenous defence industry. (d) Invisible laser walls to bolster security along border with Pakistan in Jammu and Kashmir. 1. The Indian Ocean Naval Symposium, commonly known as IONS, are a series of biennial meetings among the littoral states of the Indian Ocean region. 2.The IONS represented by their Navy chiefs was initiated and launched by India in 2008. 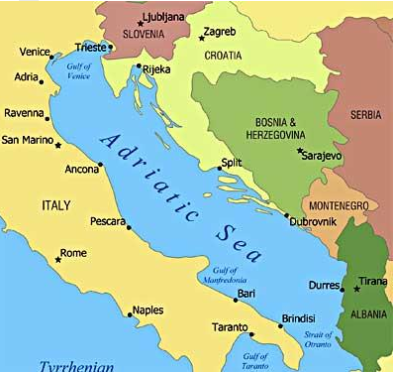 Which of the following countries surrounds Adriatic Sea. Jharkhand – Palamau tiger reserve. 1.Crew Dragon 2 is a reusable spacecraft capable of carrying up to seven astronauts developed by SpaceX. 2.Boeing’s Crew Space Transportation (CSTJ-100 Starliner spacecraft is being developed in collaboration with NASA’s CCDev Program. It is a reusable spacecraft capable of carrying up to seven astronauts developed by SpaceX. It is developed as one of the variants of SpaceX Dragon 2 programme, a class of reusable spacecraft, designed for launches atop a Falcon 9 rocket and a splashdown return. Boeing’s Crew Space Transportation (CST)- loo Starliner spacecraft is being developed in collaboration with NASiVs CCDev Program. It is designed to accommodate seven passengers, or a mix of crew and cargo, for missions to low-Earth orbit. Opportunity Rover is a NASA’s mission to explore Mars surface.